about the Four Sacred Mountains. We’ve posted about our recent installation in a Navajo Hogan several times. We feel a real kinship with our beta testers. 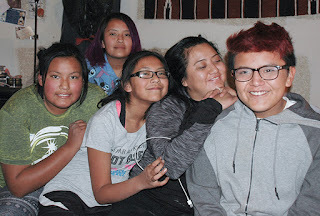 Our Navajo beta testers and families have welcomed us into their homes, culture, and hearts, so it is doubly gratifying to be able to help them out. 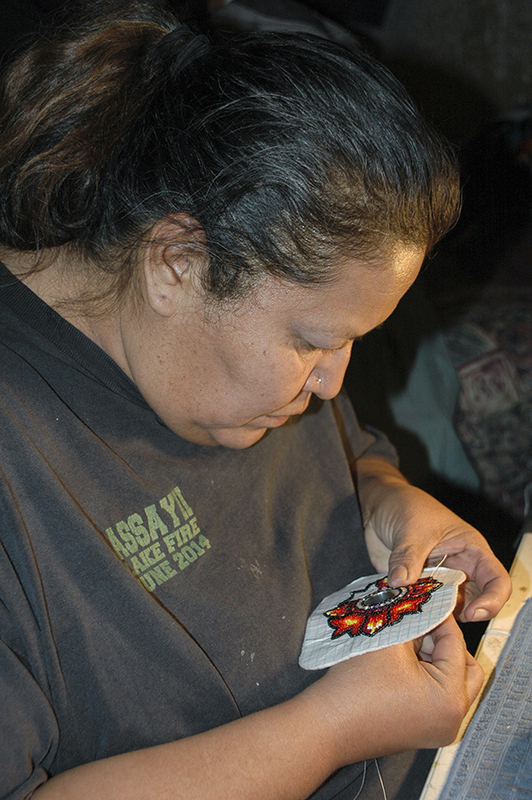 The Navajo people are working hard in adverse circumstances, have a myriad of hidden talents, raise great kids, and have the same goals and aspiration as any of us. The Navajo Project enables us to see immediate improvements in the lives of some of these families, way beyond the improvement in upgrading their heating systems. The Hogan was warm and cozy. No more rain, snow or wind came in around the hole where the single wall pipe went through the roof, and replacing the scorched wood around the old pipe eliminated the immediate safety concern. The fire lasted all night, resulting in a better night sleep for the entire family. The family’s monthly wood expense will be drastically reduced, we anticipate by half. We recommended using some of the money saved to insulate the ceiling, which would then result in an even greater fuel/cost savings. Smoke and stove odors have been eliminated from the house. for dresses worn at ceremonial dances. Mom got several full nights of sleep - her first since the onset of cold weather. No more getting up to feed the stove to help keep the Hogan warm. Mom’s voice had completely cleared up in three days. She has a respiratory condition, and her voice was rough, raspy, and barely audible when we arrived on Tuesday, but clear as a bell on Friday. So clear in fact, that Lorin thought she must be another family member, but quickly realized her mistake! The air in the Hogan was clean. The kids slept better too. The Hogan was warm and comfortable, and the kids didn’t fight for blankets – and went from using four blankets down to one per child! 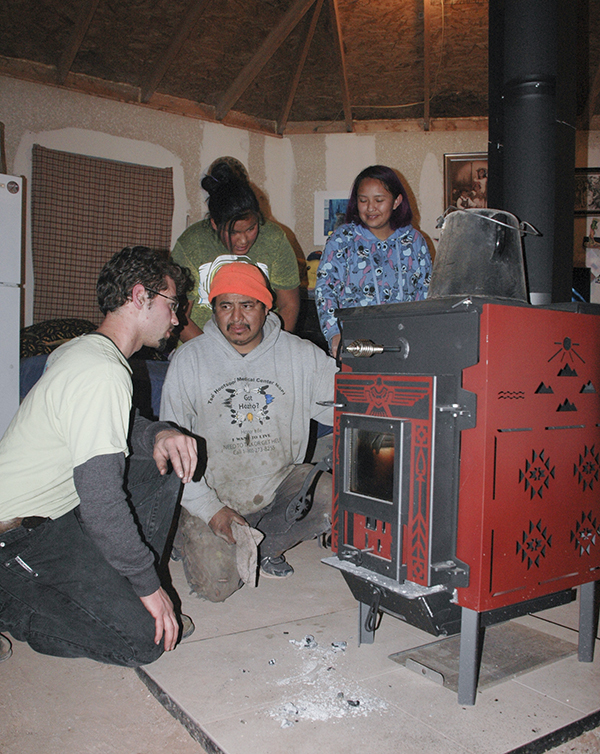 The trips out to the Navajo Reservation have had a profound effect on those fortunate enough to be a part of such a meaningful endeavor, and we anticipate our stoves continuing to provide some much needed relief to the multitude of the wonderful families in need of good, clean heat on the reservation!